Last year I did a series of posts entitled Another Man where I reminisced about the most important male influences in my life. I’ve been wanting to do a similar series about the women in my life, and what better place to start than here. 8 years ago, I stood before just about everybody I knew and I swore to devote the rest of my life to loving this pretty little blonde girl from Mt. Juliet, Miss Sunny Anne Shates. In some ways, it seems like only yesterday that Sunny and I exchanged our vows. 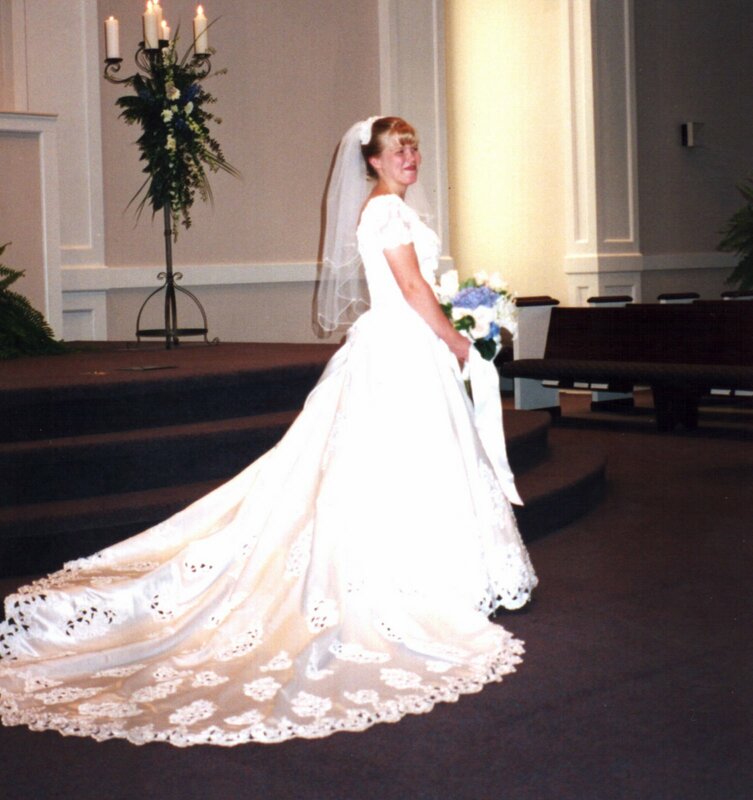 I still remember nervously standing there for what seemed like an eternity as I waited for her to appear at the back of the church building to walk down the aisle. When I finally saw her, a profound sense of unworthiness washed over me. I knew, even then, that I was “marrying up”. After 8 years (and 3 children! ), I still feel that way. And although in many ways it seems like only yesterday we were married, in many other ways that day seems distant, almost foreign, like it occurred in another lifetime. I just can’t remember what my life was like before I knew Sunny. When your life is so intimately joined to another, you have a hard time identifying yourself any other way. Honestly, I wouldn’t want to be defined any other way. Sunny, it’s one of the great compliments of my life to be known as your husband. Sunny Anne, will you marry me? Today, Sunny, I’m celebrating 8 years of living in your answer to that question. I should ask you that question every day, if only to remind me of how blessed I am to have you in my life. You bring me such joy, such bliss. You have been the conduit of God’s love in my life. Before I knew you, love was only a vague abstraction to me; in a very real way, you have been for me the very enfleshment of the Gospel. Your unconditional, unrelenting love has helped me understand the love of God. You will never know how much I truly love you, for my best words fail to articulate what is laid up in the depths of my heart. It’s enough for me to say that I love you and I always will. My love for you will only grow stronger all the days of my life. Thank you for being my wife. For being, my girl. This entry was posted in My Girls, Sunny. Bookmark the permalink. Congratulations! Hope you have a great day! Congrats! We love you guys. Am I the only hormonal one crying? It means the world when a woman hears her love speak words so kind and sentimental. You’ve just made Sunny’s day! Thanks, guys. If you want to see all our cheesy old pictures from back in our dating days, you should check out Sunny’s blog.